Home Questions Science Time Why Don't We Have Teleportation? Why Don't We Have Teleportation? There are few annoying starship-to-planet commutes in Star Trek. Instead, the transporter turns you into energy and data, then instantly reassembles you into flesh and blood at your destination. The Fly depicts a somewhat less successful attempt at the same thing. Theoretical physicist and unstoppable optimist Michio Kaku thinks humanity will achieve a version of teleportation in the real world. He predicts the transport of a molecule in the next 10 years, soon followed by DNA. But making it to Captain Kirk will take "centuries of work," he says. For now, teleportation is stuck at the quantum level. 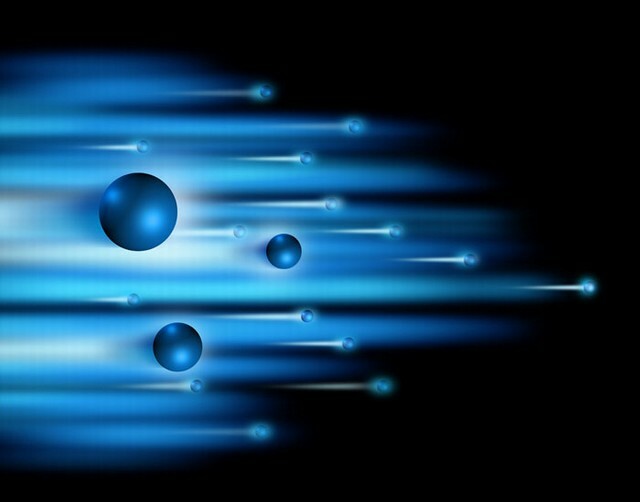 In quantum teleportation, one of the more amazing quirks of quantum mechanics, an exact copy of a photon appears in a different location (the record distance is 100 miles) just as the old photon is destroyed. Scientists disembody the information about a particle, such as a photon, from that particle. They then apply it to another photon some distance away, creating a copy and destroying the original. If you've seen The Prestige (spoiler alert if you have not), think of the final twist in which we learn that Hugh Jackman's "transported man" magic trick was really a cloning trick: When the "original" magician is transported, he is actually drowned. A clone appears in his place, leaving only one "Hugh Jackman." In quantum teleportation, you actually need three photons—the two entangled ones mentioned earlier, and a third to carry the qubit (the unit of quantum information) from one particle or assembly of particles to another. In the case of quantum teleportation, scientists direct the photon transport through fiberoptics or with lasers or satellites aimed at "detectors" that decode the info, but so far the technique only works at night because sunlight destroys the information carried in the photon. "Quantum teleportation is not only a possibility—it's a reality, at least for single photon states," physicist Dave Goldberg says, "and there's no reason it couldn't be scaled up somewhat. I'm skeptical that it'll ever be practical to teleport people, but there's no fundamental reason why we couldn't do so. It's just mind-bendingly complex." If you want to know why scientists can't teleport humans yet, just look at the numbers. Quantum teleportation takes one unit of information and makes its "appear" somewhere else. The body is made of 50 trillion units (cells), and each cell is much more complex than an individual photon. To disassemble such a complex system and reassemble it with absolute accuracy somewhere else is beyond even a theoretical understanding today. "Nothing in the physics of today describes how that would be possible," says David Allen Batchelor of NASA Goddard Space Flight Center . While scientists once thought teleportation was impossible because of the uncertainty principle in physics, the quantum experiments of the last two decades have shown that's not true. But if you're waiting for a transporter to let you bypass the morning commute, keep waiting.